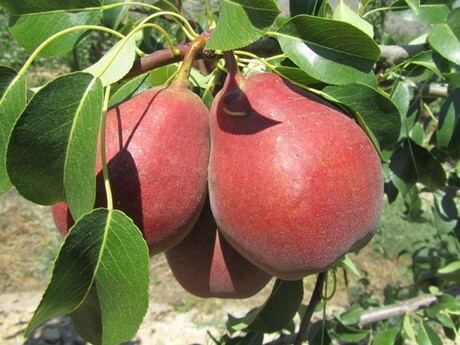 The family of South African bred pears has a new addition, Cheeky®! Bred and Developed by Agricultural Research Council within South Africa and marketed and commercialized by Culdevco (Pty) Limited. 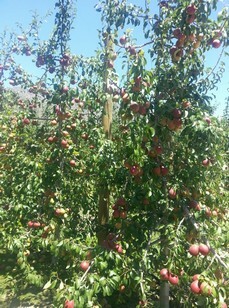 The new red blush pear variety is currently being grown on 350 hectares in the Western Cape. "At the moment around 100 ha are already in commercial production," explains Dr. Leon von Mollendorff, General Manager at Culdevco. "The Cheeky volumes will of course increase as the young plants come of age." The red colour is so intense that it even retains the blush during the heat waves we usually encounter during January and February. The taste of Cheeky® is unique with strong pear flavours. For the last two years the commercial volumes have been mainly sent to the European markets where it has proved very popular with consumers. A small volume has gone to Far East markets. According to von Mollendorff, it is also profitable for the growers with good yields and packouts, "Export volumes of Cheeky® from South Africa will certainly continue to grow for the foreseeable future." Trials with Cheeky® have already started throughout Europe, but it is still early days as far as results are concern.